The GREAT campaign is a cross-Government initiative designed to deliver trade and tourism benefits to the UK by harnessing the best that Britain has to offer under a single brand and promoting our strengths to the world. Following the Autumn Statement in November 2013, the UK Government launched the scheme Small Business: GREAT Ambition in December 2013 - a series of measures designed to make it easier for small businesses to expand which dovetail into the national initiative. Launched in 2014 the Small Business Charter (SBC) brings together world-class business schools and SME & Start-Up communities across the UK to create sustainable economic growth. The SBC awards business schools for excellence in supporting SMEs and creates a framework for them to provide small businesses with nationally recognised programmes of expert advice and training to help their business grow. In order to achieve a Small Business Charter award, business schools undergo a rigorous assessment process to validate their business engagement and business support. Currently, 31 business schools in the country have earned a Small Business Charter Award. With 5.4 million SMEs trading across the UK, the network of business schools awarded with a Small Business Charter are ideally placed to provide growth, enterprise and entrepreneurship support to help maximise SMEs’ productivity and their contribution to the UK Economy. Through the Small Business Charter SMEs can access business school programmes to help them develop world-class management practice, tailored growth strategies and business plans. Working collaboratively, the SBC and business schools deliver a number of programmes where practical business education is provided to SMEs in an effective peer learning environment. SMEs are guided through real business problems in a pragmatic manner. Models and techniques are taught in a concise time-efficient style and the SME participants immediately apply these models and techniques in facilitated break-out sessions. The programme attendees establish a network of like-minded individuals who sustain knowledge sharing and collaboration across the established cohorts. The Small Business Charter business schools and the SME & Start-Up communities establish valuable networks to share best practice, disseminate information and maximise the value of UK SME enterprises. The Small Business Charter collaborates with a number of stakeholders – SMEs; Start-Ups; Universities; Higher Education and Further Education Students; Entrepreneurs; the Westminster Government; and Devolved Nations’ Governments. In a European context, the UK business angel market is seen as one of the most mature and extensively researched. A recent study of the UK angel market has highlighted recent Government initiatives to provide tax incentives for angel investment through the Enterprise Investment Scheme (EIS), for individual investors in higher-risk small companies, and the Seed Enterprise Investment Scheme (SEIS), for individual investors in small, early stage companies. Almost 9 out of 10 angel investors have invested either through the EIS or the SEIS and around 80% of the total investments in angels’ investment portfolios were made under these schemes with over half (55%) investing in EIS and a quarter (24%) investing in SEIS. The increased awareness of and use of these schemes in recent years might suggest a changing attitude to risk and it has been the existence and extension of these schemes that have encouraged angels to keep investing in turbulent economic conditions. Since the financial crisis, the proportion of people from ethnic minorities and migrants starting their own firms has risen sharply, at the same time as more modest increases among white people and life-long residents. In 2017, the TEA rate among non-white Britons was 14.5%, compared to 7.9% for white Britons. A similar increase can be observed among immigrants to the UK, both white and non-white. In 2017, 12.9% were early-stage entrepreneurs, compared to 8.2% among the UK-born population as a whole [all ethnicities]. For both ethnic minority groups and migrants, this difference with the white and UK-born populations has widened substantially since 2008. In 2016, 10,011 adults in the UK aged 18 to 80 participated in the GEM survey. 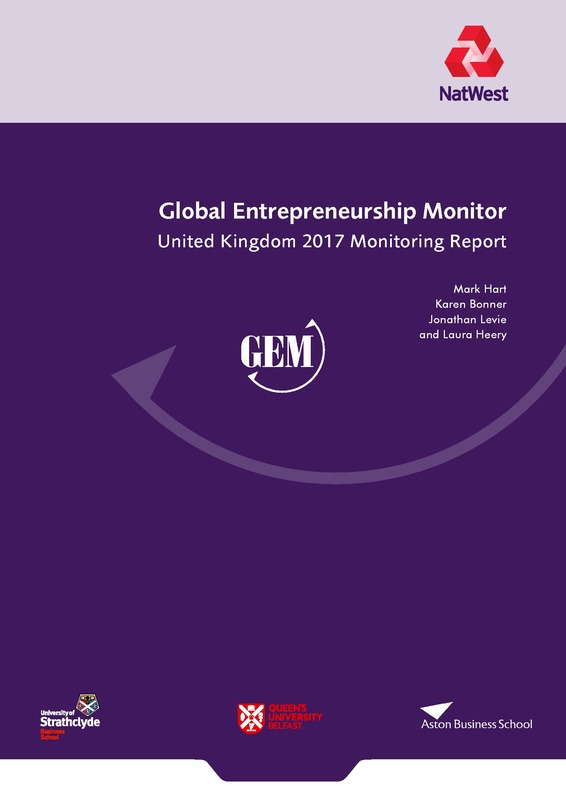 This monitoring report for the UK compares GEM measures of entrepreneurial attitudes, activity and aspirations in the UK with France, Germany and the United States. It also compares the results for the four home nations of the UK. 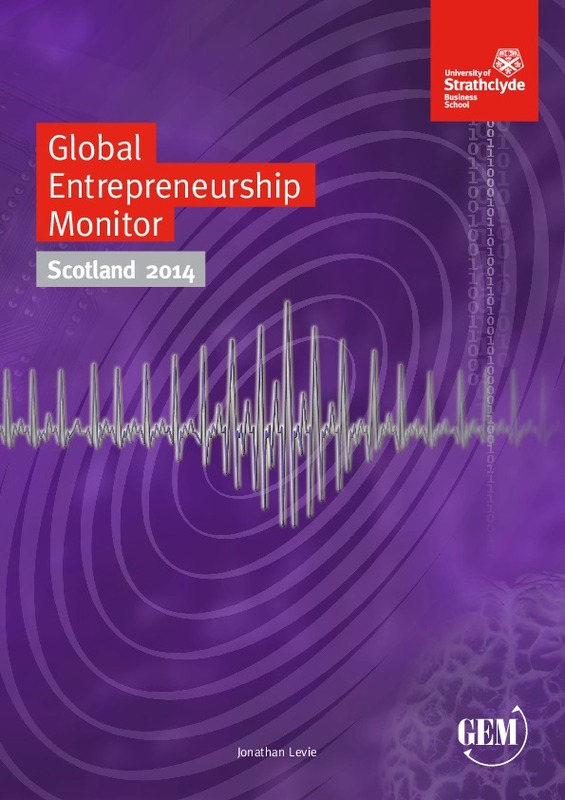 This report summarises entrepreneurial attitudes, activity and aspiration in the UK and across its four home nations. Comparisons are also made to the United States and Germany. Business startup funding expectations and refusal rates are also examined. 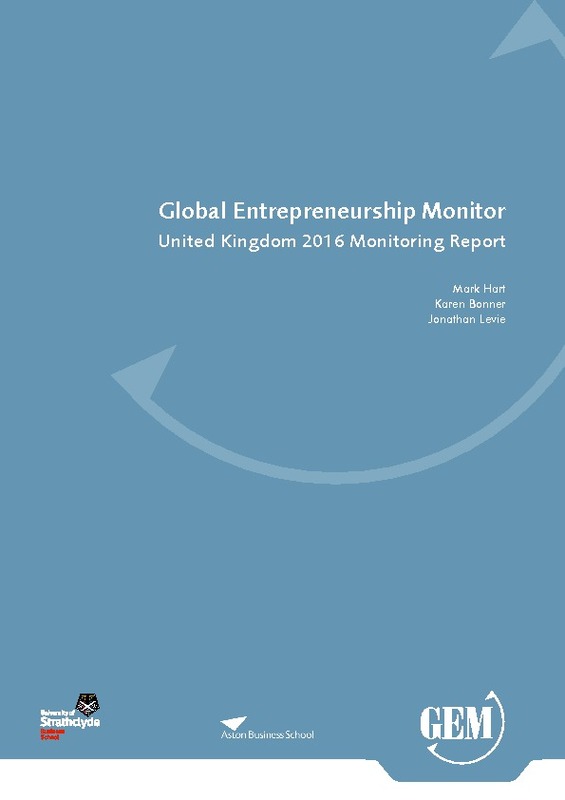 This report compares measures of entrepreneurial attitudes, activity and aspiration in the UK with France, Germany and the United States. It also summarizes entrepreneurial attitudes, activity and aspiration across the four nations of the UK and reports on business registration activity by business owner-managers, and on changes in business start-up funding expectations through the business cycle in the UK.